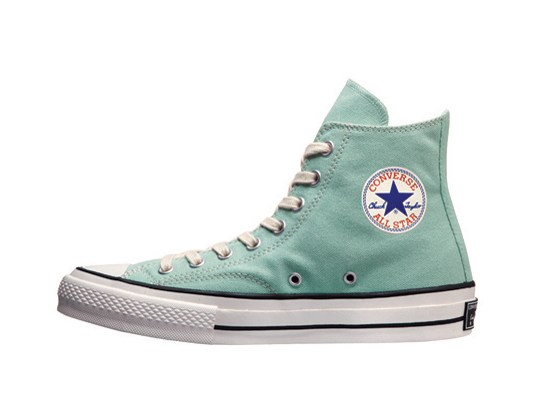 Released in Japan, we are proud to officially present the Converse Addict Chuck Taylor summer 2012 and its turquoise version as our main summer Chooser. Guys will probably appreciate the comfortable Vibram outer sole and premium canvas on the upper. Adding premium materials and some more functionality to the classic "Chuck Taylor". The new shoe features a customary Converse circular hit on the upper ankle while brushed silver eyelets and a pure white outsole complete the look.